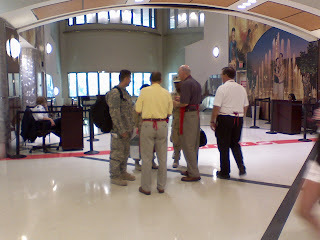 The USO is here welcoming troops back from Iraq. Everytime a soldier comes up the escalator the crowd applauds. Im watching mothers tearfully greet their sons, wives and children grip returning family members, sobbing. It's incredibly emotional, wow.